On Thursday, October 5, 2017, the Hurricane Junior Golf Tour traveled to Kissimmee, FL to host the 4th Annual Academy Cup at the amazingly beautiful Celebration Golf Course. The players battled through a very warm weekend in Kissimmee, all the while trying to dodge the series of thunderstorms that were coming through. Yet, the junior golfers persevered through in order to notch this tournament in the books as one to remember! The HJGT would like to thank the amazing staff of Celebration Golf Course for their hospitality and ensuring excellent conditions for the field of play. After a highly competitive weekend, The Academy finishers were Gary Gilchrist at 1023, IJGA at 1057, and then Saddlebrook at 1058 for 3rd place. Evan Callaghan of Canada from Shattuck St. Mary’s is the Boys 16-18 champion. 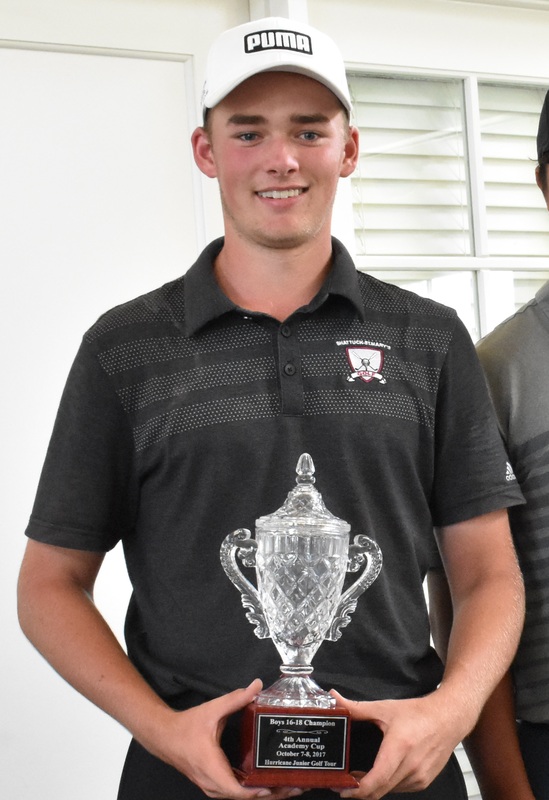 Callaghan solidified the victory in his division by carding a 71 on Saturday and a 74 on Sunday for a two-day total of 145. Jee Won Park of Lake Mary, FL and Alexandre Liu of Longpont-sur-Orge tied for 2nd with a two-day total of 146 (71-75) and (76-70). The players had a great time competing against some of the best junior golfers this country has to offer. Kenneth Thu of Mandalay is the Boys 14-15 champion. After a 75 on Saturday, Thu scored Sunday with a 72 to secure the victory finishing with a two-day total of 147. Tristan Galant came in 2nd with a two-day total of 150 (74-76). Nicholas Estrada and Luke Lyu tied for 3rd place with a two-day total of 152 (75-77) and (80-72). The boys were very close throughout, which made the competition even more exciting. 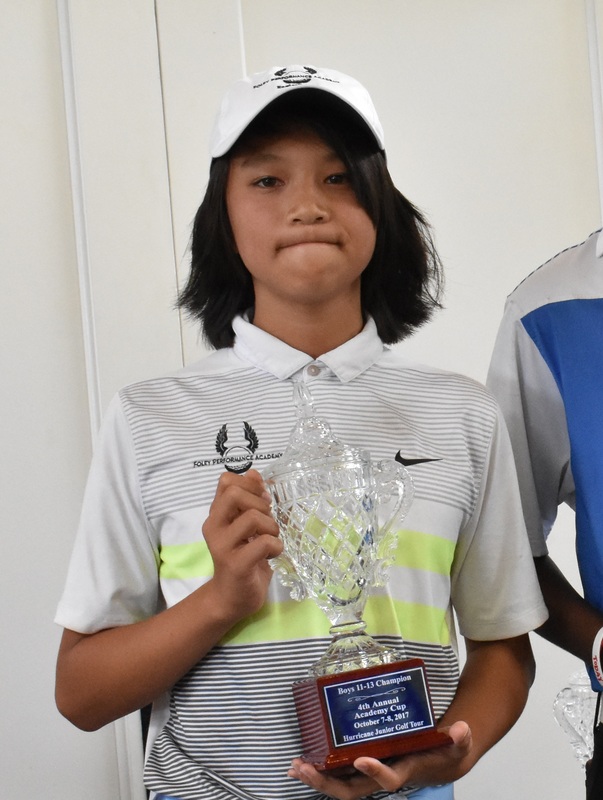 Aaron Zhang of Lake Mary, FL is the champion of the Boys 11-13 division. Zhang posted a round of 71 Saturday and 76 Sunday for a two-day total of 147. 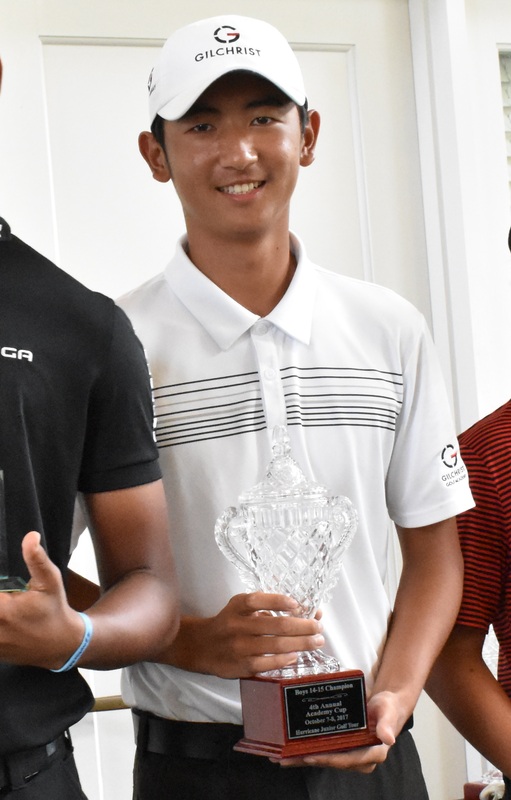 Ken Shibata came in 2nd after shooting a two-day total of 148(70-78). Shawn Lalmoni and Caden Burr tied for 3rd place with a weekend total of 149 (74-75) and (76-73). The boys were neck and neck through the entire weekend, which made for an exceptionally exciting couple of rounds. Isabella Cardenas is the Girls 14-18 champion. 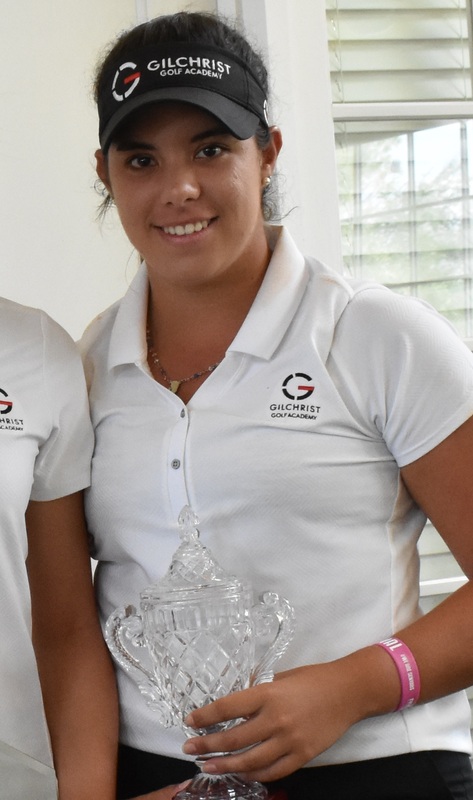 Cardenas, a member of Gary Gilchrist Golf Academy emerged victorious after posting an impressive two-day total of 143 (72-71). Pin Wen Lu came in 2nd with a total of 145 (70-75). In 3rd, also representing Gary Gilchrist Golf Academy, with a first round score of 72 and 76 on Sunday with a total of 148.